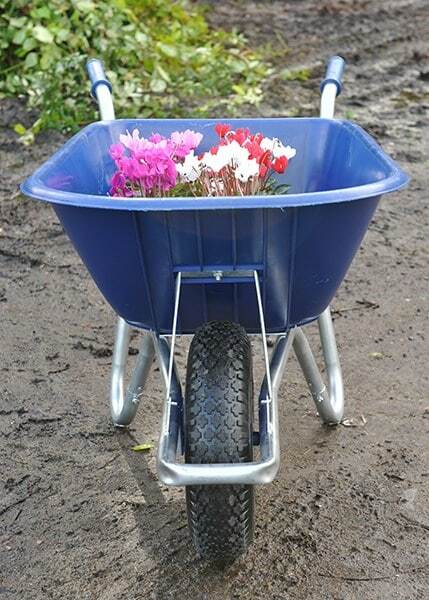 Probably the most highly regarded wheelbarrow design in the UK: perfect size, perfect balance. 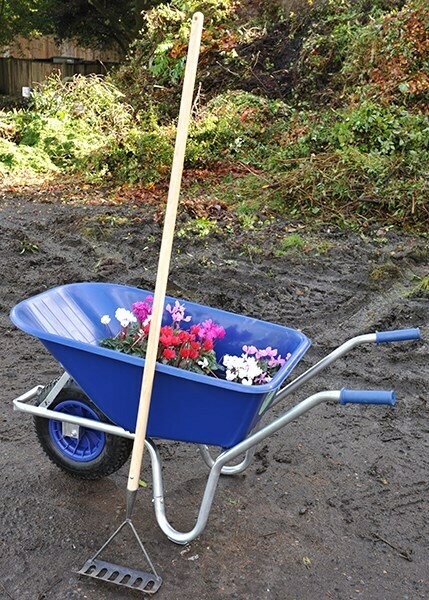 Also makes a great equestrian, agricultural or landscaper's barrow. Less than 2' wide – fits anywhere! Professional grade wheel bracket for longer life. The wheels have roller bearings that guarantee years of easy, squeak free rolling. 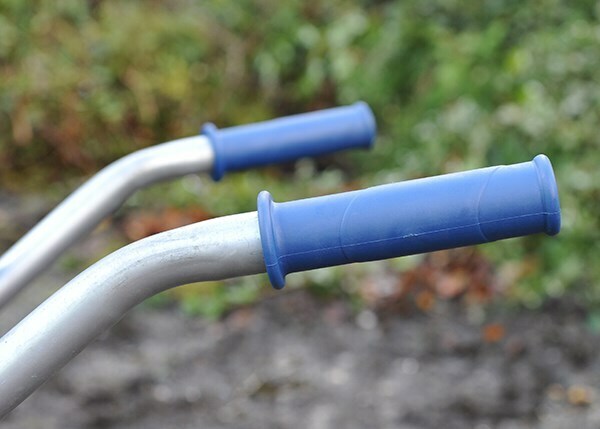 The tyres are 4-ply with a sturdy block pattern tyre that improves traction and lasts longer with pneumatic inner tube allows you to be able to repair the tyre easily should you ever get a puncture. Square tipping bar for optimal balance when tipping or parking. 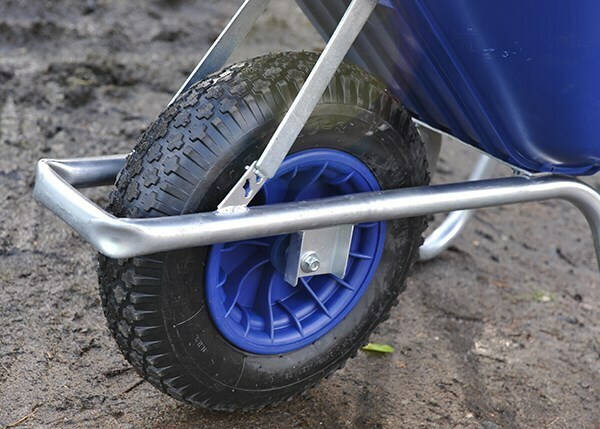 Galvanised chassis to guard against scratches and ensure less rust and a longer life. it will also look good for longer. 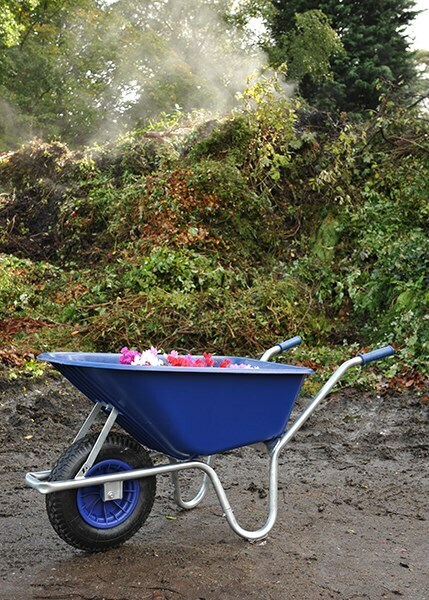 The Polypropylene tray is UV stabilised to minimise fading and prevent brittleness.